The mission of Department of Accounting is to create, debate and disseminate knowledge about the measurement and communication of financial and non-financial information that will inform our students, alumni, managers and capital market participants and facilitate rational financial, economic and policy decisions. Stern's Department of Accounting offers a wide range of courses and programs for students interested in acquiring the skills that will better enable them to serve the information needs of professional clients and the organizations that employ them. We offer a Ph.D. degree with an emphasis in accounting as well as an M.B.A. degree with a major or double major in accounting. Students often select a menu of courses stressing financial statement analysis. In the undergraduate college, we offer two accounting majors - one with a C.P.A. emphasis; the other less technical in nature. The latter option is often taken together with finance or information systems as a double major. All students have access to the faculty of departments throughout the Stern School. Received an honorary doctorate from the Universiteit Hasselt in Belgium (given once every five years), and was appointed as the Copernicus Chair in Economics from the University of Ferrar in Italy. Voted “Great Professor” by the Executive MBA class of August 2014. 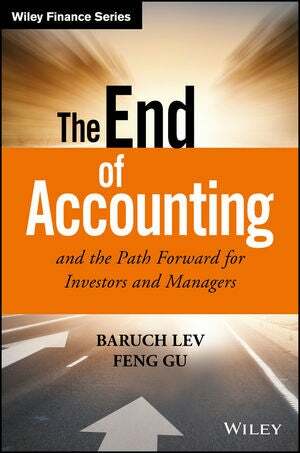 Excerpt -- "And now a new opportunity is coming, that will prepare college graduates in one year to enter the field at the high levels a CPA certification confers. New York University's Stern School of Business has just announced a new one-year master's degree in accounting, which will satisfy the education requirements to become a CPA in New York and many other states. In recent years, increasing regulations on business have spurred rising demand for CPAs, says Thomas Pugel, Stern's vice-dean of MBA programs." The Department of Accounting at NYU Stern School of Business is pleased to host the 13th Annual NYU Accounting Summer Camp on Thursday, June 1 and Friday, June 2, 2017. The Summer Camp will feature researchers and faculty members from leading universities.